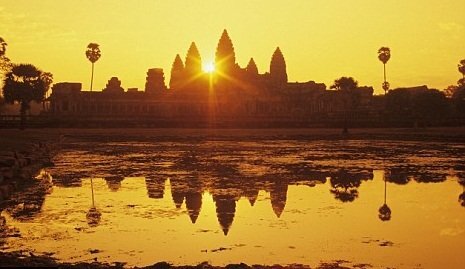 Welcome to Travel in Cambodia Website !!! The Travel in Cambodia own by a Cambodian young man. He have been working in the Travel Industry and Hotel Hospitality for almost 10years and he much understand about the customers need when they want to travel to a different places. After working for other companies for a while and he start to invented his own website to provide new services to the customers. In Cambodia many of companies are offer the Classic Tour Packages, Multi-Countries Tour Packages, Adventure Tour Packages, as same as his company as well. But he has a new idea of providing / offer a new things to the travelers, and not just those Packages that listed above. In his new website, he focus to the Cultural Tour Package (Learning a Real Cambodian Cooking Class). This tour is focus to only the Cambodian Cultural. And of course it would not fit to all of travelers BUT he would like to focus to the travelers who are Really Interested of Learning about Cambodian Culture, Traditional way of Cooking Food, The way of living life in the countryside, The Charming of Cambodia, and discover more about the Cambodian Custom. For the Cooking Class in Cambodia, not just his website that provide this kind of products / itinerary to the travelers. There are several companies do that as well. But what make him different from the other travel agents do? - He gives time to customers for taking pictures. If you are interested of these services, please contact him at the following address. (All prices are include Daily Breakfast, Government Tax, Hotel Service Charge).